Swedish meatballs in a light cream sauce are great speared with toothpicks or served over noodles for family dinners. Growing up, my family celebrated every Christmas Eve with friends at the home of our neighbors, Pat and Paul Swanson. Though my family is Jewish, we loved being part of this tradition — the house decorated with white lights and nutcrackers, the crackling fire, the smell of mulled wine and, best of all, the annual appearance of my best friend Bridget’s dad dressed as Santa Claus, who rolled in with a boisterous “Ho Ho Ho, Merrrrry Christmas boys and girls,” handed out candy canes to the all the kids, and scared all the little ones right onto their mothers’ laps! Always on the menu were Pat’s Swedish Meatballs — mini meatballs made from beef and pork in a light cream sauce. I always loved them, and have made my own version many times over the years — both speared with toothpicks for parties and served over egg noodles for family dinners. They always make me think of the holidays. So, let’s get to the recipe. My starting point was this Swedish Meatball recipe from Cook’s Illustrated, however I have changed it up quite a bit over the years. The recipe is unique for a few reasons: First, the meatball mixture is made in an electric mixer, which makes tender meatballs with a nice “snap” to them — so they won’t fall apart when you spear them with toothpicks. Second, the meatballs are baked, not fried. I have tried cooking them both ways and honestly don’t think much is gained from frying, other than nicer color, and once the meatballs are covered in sauce, who cares? Begin by making a panade, which is a mixture of bread and cream that binds the meatballs together and makes them tender. Simply whisk together the eggs and cream in a small bowl, then add the cubed bread. Mash with a fork until the bread is dissolved into the liquid. Next, combine the ground pork, garlic, baking powder and spices in an electric mixer and whip until the mixture is smooth and pale. And mix again until just combined. Using moistened hands, form the meat mixture into meatballs and place on a rack over a foil-lined baking sheet. The rack is useful because any fat from the meatballs drips down but if you don’t have one, don’t worry about it. It’s fine to just place the meatballs directly on a greased baking sheet. Bake the meatballs for 20 minutes, until lightly browned. The rack will leave little marks on the bottoms of the meatballs, but they are not noticeable once the meatballs are covered in sauce. Meanwhile, make the sauce. Begin by melting the butter in a large sauté pan. And whisk constantly until the flour turns golden and fragrant. Whisk in the chicken broth. Add the brown sugar and cook for about ten minutes, until slightly thickened and reduced, then add the cream, soy sauce and pepper. I know it seems odd to season this dish with soy sauce but it works — think of it as salt but with a bit more flavor. Let the cream sauce simmer until thick enough to coat a spoon, then add the meatballs and simmer until heated through. Transfer the meatballs to a platter and sprinkle with fresh parsley. You can find these bamboo forks on Amazon — Norpro 190 72-Pack Bamboo Party Forks, Brown . Preheat the oven to 325. Line a baking sheet with aluminum foil for easy clean-up and place an ovenproof baking/cooling rack over top; spray the rack very generously with nonstick cooking spray. Whisk the eggs and cream together in a medium bowl. Stir in the bread and mash until no large bread chunks remain. Set aside. In a stand mixer fitted with the paddle attachment, beat the pork, garlic, allspice, pepper, salt, and baking powder on high speed until smooth and pale, about 2 minutes, scraping bowl as necessary. Add the bread mixture to the mixing bowl and beat on low speed until combined (so it doesn't splatter), then increase the speed to high and beat until smooth and homogeneous, about 1 minute, scraping the bowl as necessary. Add the beef and mix on medium-low speed until just incorporated, about 20 seconds, scraping the bowl as necessary. Using wet hands, form the meat mixture into 1-1/2-inch round meatballs and place on the prepared rack. (The mixture is very sticky and wet hands help; keep wetting your hands as you go). Bake for about 20 minutes, until just done. Note: You'll notice that the rack will leave little marks on the meatballs but they will not be too noticeable once the meatballs are covered with sauce. While the meatballs are cooking, make the sauce. In a large sauté pan over medium-high heat, melt the butter. Add the flour and cook, whisking constantly, until flour is golden and fragrant, about 1 minute. (Careful not to burn; it goes from golden to burnt quickly.) Whisk in the chicken broth, getting rid of any lumps. Add the brown sugar and bring back to a boil. Reduce the heat to medium and cook, whisking and scraping down the sides of the pan occasionally, until sauce is slightly thickened and reduced, about 10 minutes. Add the cream, soy sauce and pepper and bring to a boil. Reduce the heat to medium and cook, whisking and scraping down the sides occasionally, until the sauce is thick enough to coat a spoon, about 10 minutes. Add the cooked meatballs to the sauce and simmer, turning occasionally to coat with the sauce, until heated through. Stir in the lemon juice, taste and adjust seasoning if necessary, then serve. Note: The cream sauce is a touch sweet. For a less sweet sauce, you can reduce or omit the brown sugar. Freezer-Friendly Instructions: The meatballs (without the sauce) can be frozen for up to 3 months. When ready to serve, prepare the sauce and reheat the meatballs in the sauce until hot in the center. I made these to bring to a Super Bowl party yesterday and they were a huge hit! Everyone loved them despite having way too many other appetizers on the table. pecans, Spinach & Gruyere quiche, Chicken Pot Pies, Shortbread Cookies, and on and on and on. 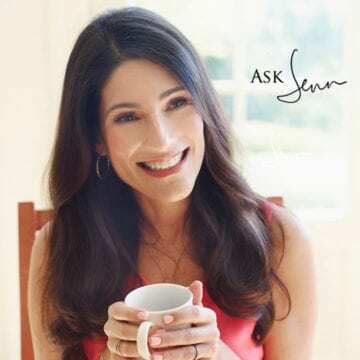 I have a kitchen full of cookbooks that are pretty neglected now that I’ve found you Jenn. Cheers and keep up the great recipes! I actually made it with coconut milk instead of cream. The meatballs tasted great but the sauce didn’t thicken. I think I would use cream instead of coconut milk in the sauce next time. Hi, I live in MN and have been making Swedish Meatballs for a good 30 years. Could you explain what the baking powder is for? I’ve never seen it in meatballs before. Hi Betsy, I’m not sure of the scientific reason, but it helps give these meatballs a bit of snap when you bite into them. Enjoy! Forgot to mention – I also left out the brown sugar! Delicious! I did as another reviewer – I halved the meatball portion of the recipe but kept the sauce amount the same. Served over egg noodles. Very tasty! Thanks for another winner Jenn! Super easy to make and delicious! My picky toddlers ate it right up! Let me start by saying that this is my first time leaving a review. I don’t usually leave reviews or rate anything but I have come to find that I really liked this recipe! My house could be referred as the substitute house. I never have all the items for a recipe. So like all the previous recipes, I had to substitute or leave things out. I did not have ground pork or the allspice and only had 1 lb of ground beef. So I halved all the ingredients for the meatballs. I don’t have an electric blender so I used a rubber spatula and smashed/mixed the ground meat for around 5 to 10 mins till I thought it looked fully mixed. I made around 1/2 in sized meatballs and cooked on the stove instead of the oven. I removed the meatballs from the pan and then used the same pan to make the sauce keeping all the ingredients and amounts the same, except I excluded the brown sugar and added a little Worcestershire sauce. After it was ready I added the meatballs back to let it simmer for 5 mins, adjusting the seasoning a little and then served it stop of Jasmine rice. I kept the sauce the same quantity even though we had half the amount of meat because we are sauce lovers in this house. Oh, I almost forgot, my daughter and I decided to add frozen peas to the sauce when we added back the meatballs. The kids loved this meal even my son who complained through the whole process until he tried it. Then he requested it more in the future. I hope this helps those substituters like me and apologize to those who aren’t because I couldn’t leave a true review on the recipe itself. My whole family loved these Swedish meatballs & sauce, which we had served over mashed potatoes. I omitted the pork, only making 1/2 the recipe with 1 LB of 90/10 ground beef, as that’s what was on hand. I used the inside of a slightly stale hotdog bun for the little bread cubes, whole milk instead of heavy cream in the sauce in order to use a lactose-free milk (I have also found lactose-free half & half), regular chicken broth (as opposed to low sodium) and dried parsley flakes, but fresh lemon juice, and it all came together just fine. Delish dish; thanks Jenn! Delish. You are always my go-to for all my recipes. Keep them coming!! I love this recipe and my kids love this meal, they ask me to make it at least once a week. Thank you for your great tasting recipes! thinking of making these for our christmas eve. Are they as heavy as they seem and can I make the meatballs ahead of time, just re-heating in the sauce just before serving? Hi Laura, I don’t think you’ll find them to be too heavy. And yes, you can prepare the meatballs ahead and reheat in the sauce. Hope you enjoy! This is the 5th recipe I’ve made from your site. You’re becoming my go to for new meals! These were so good and easy to make. Hi Joanne, You can freeze the meatballs but I wouldn’t freeze the sauce. Don’t know where you can find edible prime rib for the same cost of these, but to each their own. Just not your cup of tea, we love these! Even the kids loved this, I served over buttered noodles and some steamed broccoli. Tonight I made these Swedish meatball. It was okay. Meatball are tasty but like the other review, I didn’t care much for the sauce either. My husband says it’s sweet, I guess it’s from the brown sugar. He prefers a sauce with a kick to it. Meatballs great flavor. Sauce to sweet for my family. Nobody in my family liked the meatballs or the sauce. The meatball texture was too mushy. The sauce too lemony. Maybe I don’t know how Swedish meatballs are supposed to taste and just don’t like them? There were many steps and lots of clean up. I would not make this again. Robbie, I’m sorry to hear you didn’t enjoy them more! I have several other meatball recipes on the site if you want to give them a try. Swedish meatball recipe was fantastic and we fought over the few left overs the next day. I need suggestions on freezing. want to use some at a later date. Freeze meatballs out of sauce or is in the sauce okay? Can sauce be frozen? Hi Louise, You can freeze the meatballs but I wouldn’t freeze the sauce. I’m planning to make your chocolate cream pie, swedish meatballs and the herbed cottage cheese spread for Christmas Day. How far ahead can each of these items be made or to what point? I have been enjoying your recipes for several years now. I find all of them so tasty! And I love all of the pictures. Thanks for sharing! Hi Louise, you can make the meatballs (and the sauce) a day or two ahead of time and just reheat when you’re ready to serve. The pie and cottage cheese spread can also be made a day or two ahead. Hope you have a great holiday! The meatballs look so good. I am always looking for a tasty recipe to try. Will try for the holiday get togethers. I will come back and leave a star once I have made these. Made these tonight. Loved the meatballs 5/5; the sauce not so much 3/5. Hi Yvette, Unfortunately there is no good dairy-free sub for the cream in this recipe. Have you tried my cocktail meatballs? The sauce for those is dairy-free. This is hands-down the best Swedish Meatball recipe I’ve made (the search is over)! It is a lovely and well-received addition to any celebration table. I like to serve it with the addition of lingonberry jam on the side for guests to add if they like. What is the missing ingredient in this recipe? Nothing! Lingonberries or cranberry sauce makes a nice accent on the side. I’ve made these for an easy New Year’s Eve dish and there are never any leftovers! I have to say that I was really disappointed in this recipe. WELL, not the whole recipe only the sauce. I felt like it tasted like bad deli turkey. I had to do some serious doctoring to make it edible. I will use the delicious meatball portion of the recipe with my own white sauce in the future. I love holiday traditions. I have had Swedish Meatballs many times and just love them! But I have never had the courage to make them, I really thought they would be too hard. But I think I can handle this recipe and I am so glad that you told us where to find those cool wooden forks! Can I substitute ground turkey and maybe ground chicken sausage? We do not eat pork and very little beef. I really liked this recipe. It was super easy and my kiddo asked ME if he could help shape the meatballs which was a total shock coming from my son! Hahaha! Wow. I never leave reviews for recipes, but this was spectacular. The meatballs were light (!) and very tasty. Amazing. I hate those reviews where the reviewer says I loved the dish and then explained how they changed the recipe, but unfortunately this has to be one of those reviews. I tried this recipe because I used to love IKEA meatballs, but now can’t have them because I have to stay away from gluten. So, the most important change I made was that I used gluten-free bread, and it came out perfectly. Of course I also used tamari instead of soy sauce and, again – perfect. No one with gluten problems should shy away from this recipe for that reason! My other change was that, as I didn’t have ground beef on hand, I used ground turkey. It worked great. I’ll use this recipe again and again – and I may even stick with the turkey! Hi Dobes, Those are great tips for those who eat gluten-free. Thank you for the detailed review! This is the second time we made these little delights! We doubled the batch in order to have leftovers the next day and froze some too. Having 1 minor change to bake them on parchment paper instead of aluminum foil worked better this time around. If I were to use grated raw onions, how much would the recipe call for? Hi Anjli, I would use about 1/4 cup; you might try shallots instead for a milder flavor. Hi jenn, Another great recipe-thank you! I’m in the midst of a bit of cooking extravaganza from your website today. I’ve made “samplers” for my family and they have loved everything. I am packaging some freezer meals for my parents as my mother is not well and will let you know how it all turns out! I am hoping these swedish meatballs turn out okay frozen-I am sending some egg noodles to accompany which they can make fresh when they serve. NOT authentic Swedish. They NEVER use GARLIC. Trust me – raised in a real Swedish immigrant family, still making the family recipe. Hi Barbara, It’s really very subtle — don’t think you’ll even taste it — but it’s fine to leave it out if you’re not sure. Made these yesterday. Another new favorite! Easy and great flavor! I truly love making Swedish meatballs ! These little babies turned out so incredibly delicious , thank you for another great recipe ! Merry Christmas and Happy New Year ! This looks absolutely scrumptious! This dish will be on my Christmas menu. Maybe soon it will replace that bag of IKEA Swedish Meatballs in my freezer. 🙂 Thanks for sharing this with us. These look AMAZING! I am having an open house tomorrow for the holidays, how do you think these will do if I keep them warm in a crockpot or a hot tray? Thanks for another amazing recipe!!! Hi Candi, They will be delicious kept warm either way. Hope everyone enjoys and Happy Holidays! I was curious why baking powder is added to the meatballs? Hi Margo, It helps keep the meatballs delicate and juicy. Can the meatballs be made ahead of time and then reheated when making the sauce just prior to serving? Hi Donna, Absolutely. It is fine to make the meatballs ahead of time. You could make the sauce ahead of time too and just reheat when you’re ready to serve. Garlic is not only not traditional it would be considered illegal in old Sweden. More importantly, where is the veal, the touch of cardamom, the pound of butter? Please tell me why the baking powder is in there? I am sure there is an obscure but possibly logical reason, probably binding for it. I currently use my husbands Grandmothers recipe, she came from Sweden in 1915 on a ship through New York, her husband also Swedish came in 1914 through Canada. Prior to getting this recipe I was gauch enough (Texan!) to use sour cream. I have seen the error of my ways,trust me. So changing this recipe that I make once a year at Christmas has to come with reason. Would you mind sharing? Love knowing Amazon has the bamboo forks, makes life easier! The baking powder helps keeps the meatballs delicate and tender. You could try making the meatballs with a meatloaf mix (beef, pork and veal) and I’m sure it would be delicious. You could also add a touch of cardamom if you like, but definitely go easy as it is very strong. I don’t eat pork. Can I use all beef instead? Yes, or a combination of beef and veal would work well too. This looks like a great recipe. However, I don’t have a mixer – is there a big difference if I use my hands? Hi Marci, It will still work but if you have a hand held electric mixer, that works too. I made them with my hand-mixer, with special beaters for dough, and that worked perfectly. These meatballs were a huge hit with my family and the sauce is delicious!! I made it a day ahead and warmed it up, which worked perfectly. Thanks! My grandma used to make Swedish Meatballs and no one in our family has her exact recipe. I don’t think she used one. Your recipe looks very similar as I had watched her make it. From what I can recall I don’t think she put garlic in it. I love garlic but some in my family doesn’t. Do you think this would be as good without the garlic or should I just sneak it in and see what happens? Hi Bill, The garlic adds really nice flavor but it is not traditional, so I’m not surprised your grandma didn’t use it. It’s actually more common to use grated raw onions. I would definitely use one of the two, otherwise the meatballs will be a bit bland. Good luck and please let me know how they turn out.